If you’re concerned that trespassers can gain access to your home, when you’re there or out of the house, then it’s a good idea to consider the security of your access points such as the front and back doors and garage. The Metropolitan police force recommends installing a deadlatch, cylinder lock on your door and for the garage you could look into reinforced roller shutters from a site such as securitydirect.uk.com that should keep intruders out and help you feel safer. It can be easy to let your mind play tricks on you while at home alone, so ensure you have plenty of lighting options throughout your property. Nightlights with motion sensors are a great idea for hallways and you could also install some outdoor ones outside the house to give you a clear view into the garden and the front of the house at night. In case of an emergency, it’s a good idea to surround yourself with people you know, so make a point of introducing yourself to your neighbours and building up relationships with them so they can help out in any situation. Neighbours are also notoriously nosy and will alert you if they see anything suspicious going on around your home. It's always handy to pop a list of emergency numbers stuck on your fridge so it's nice and handy. Include details of your next of kin, an emergency plumber, the gas board, out of hours doctor and dentist and an emergency electrician such as Caztec. Trees and shrubbery are easy places for someone to hide in the dark, so avoid this fear of someone waiting for the right moment to enter your property by removing any overgrown shrubbery where someone could stay hidden or trees tall enough to reach upstairs windows for peace of mind. 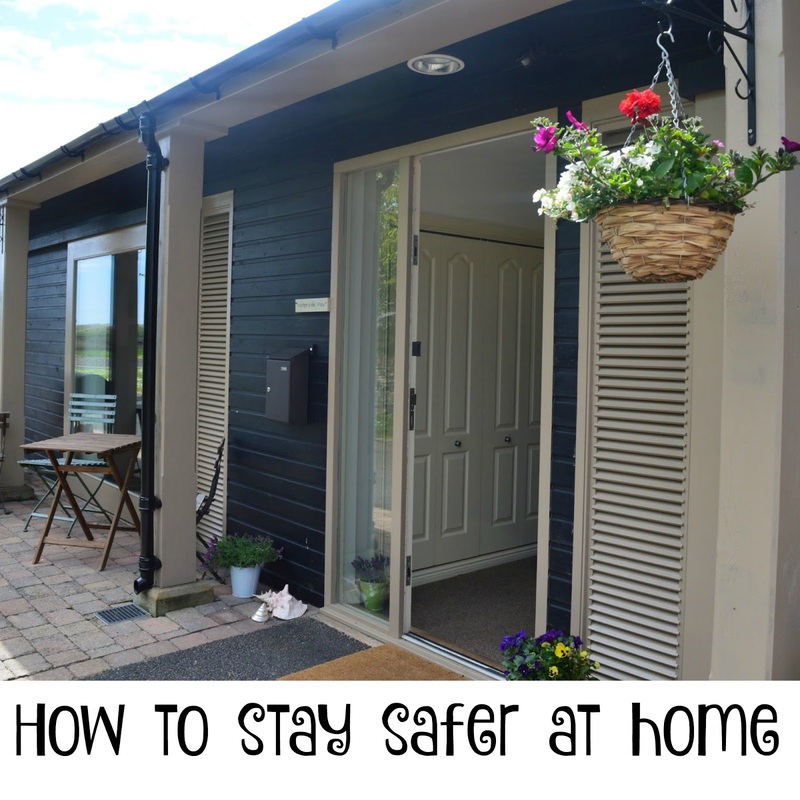 Furry companions are great at helping you feel safer when at home alone, they’re perfect company and of course also great when it comes to security – especially if it’s a big dog such as a German Shepherd or a Doberman – as they can deter burglars from wanting to enter your home. It's not a secret that we're planning on getting a dog later this year and even though it will be a little one, I'm pretty sure it will still be a deterrent to intruders.